Last summer, around 150 people camped with me along the North Fork Clackamas River at Bark's annual Base Camp - in the North Clack Timber Sale. Each day, volunteers went to a new section of this proposed logging project and collected ecological data. 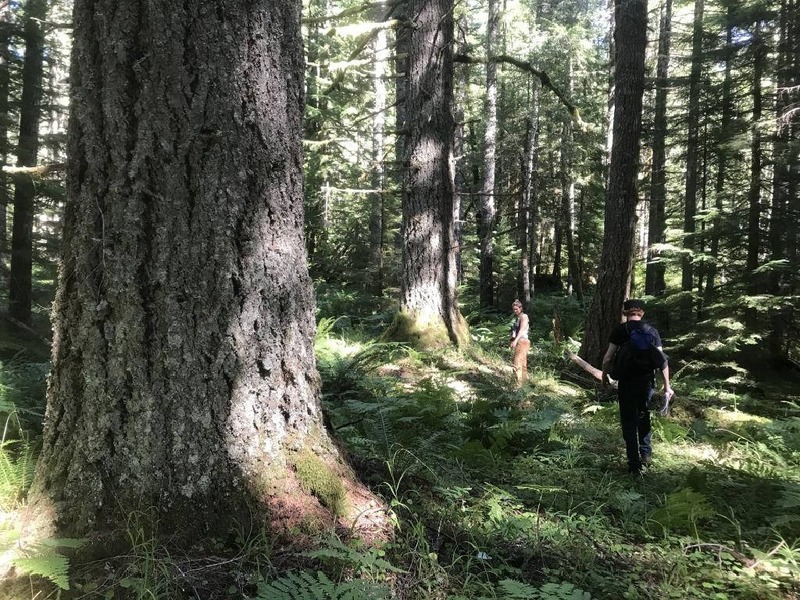 Countless old growth trees, rare plants, streams, and nests of red tree voles (a protected species) were found and recorded during this groundtruthing process designed to fully understand the impacts the proposal would have on the forest. 1) Write and submit your own comments and include Bark's main talking points. 2) Ask Mt. Hood Forest National Forest staff to assess climate change in all their actions. Bark often speaks of the value of our boots-on-the-ground efforts to document the true impact that logging has on ecosystems. Now we're working to expose the impacts that the logging has on the climate. In recent years, scientists have pointed to the timber industry as being a top contributor to greenhouse gas emissions in the state of Oregon. That’s why Bark requested that the Forest Service quantify the carbon emissions that would come from logging the proposed North Clack Timber Sale. They declined, saying their outdated Forest Management Plan does not require them to do so. In the documents released with their current 30-day comment period, the agency even included an alternative which increases the amount of "regeneration harvest" (a technique similar to clearcutting) in habitat they know to be occupied by rare and protected red tree voles. Public discourse has made it clear that climate change-contributing activities should be studied in order to better understand and reduce negative impacts - so we can have a livable future on this planet. Please take action now to join your voice with others demanding that government agencies be part of this effort.